Prague is home to almost two million people, but the city center is surprisingly compact. Getting around Prague is easy, thanks to its excellent public transportation. 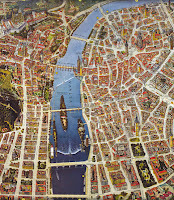 The city is generally divided into ten districts and separated neighborhoods such as „Malá Strana“(The Lesser Side) or „Staré Město“(the Old Town). 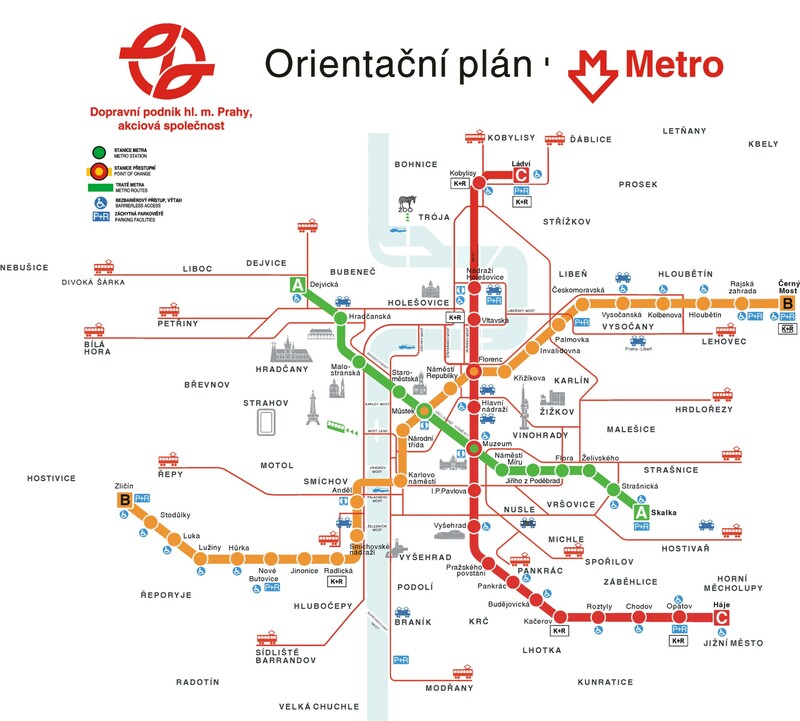 Different districts of Prague are connected with three lines of metro – Line A (green), Line B (yellow) and line C (red). You can also use efficient site of trams. Is the fastest means of transportation around the city and serves about one and a half million passengers a day, which makes it the seventh busiest metro system in Europe and the most-used in the world on a per capita basis. With the metro you can also reach most of the famous attractions in Prague. So, if you have no time for a nice walk through the city streets, see our list below. We put together a few hot-spots, which you might like to visit in Prague, always with a name of the closest metro station. Are you planning a trip to Prague soon? We bring you a list of ten things that you should know about the city! We hope to give you a better idea about places and attractions that are not to be missed and interesting things to do. Every week we will post a more detailed article about each one of them! 6. Looking for something interesting to do in the evening? Try the Black Light Theatre! 7. You can find all the different styles of architecture. 9. If you love eating meat, you are in the right place. 10. Prague is famous for it's summer beer gardens. The story of the "Czech Coca-Cola"
Kofola is a carbonated soft drink which originated in the 60' in Czechoslovakia as an alternative to unavailable rival drinks Coca Cola or Pepsi. After the fall of the communist regime in 1989, Kofola was almost forgotten but in 2002, the brand made a big comeback to the market. So if you were wondering what is the dark soft drink that people order in large beer-glasses: It's Kofola! Some people hate the taste of this beverage but others will tell you that they love it because it reminds them about their childhood. 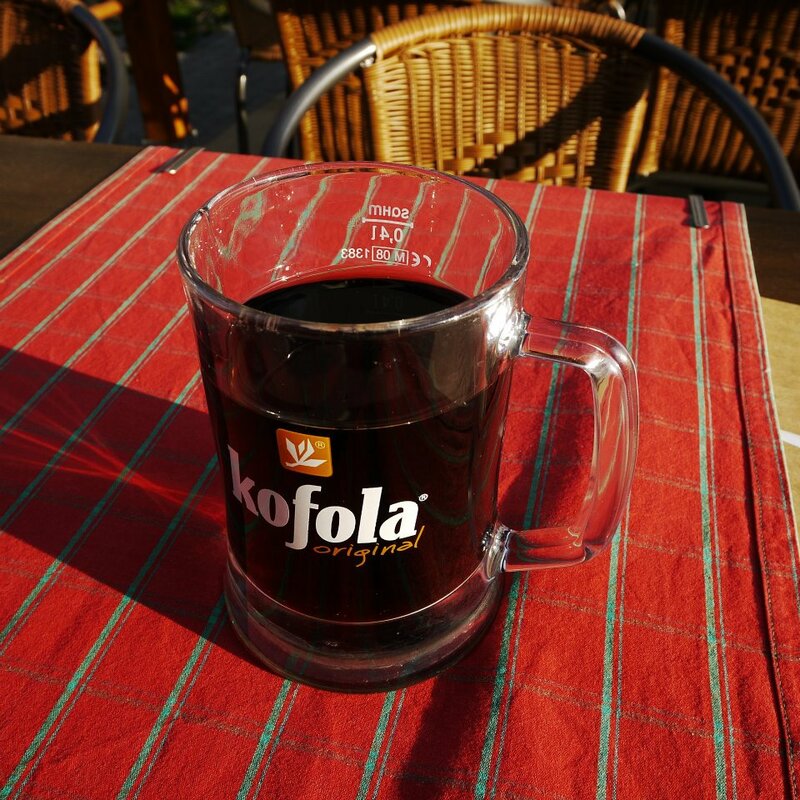 Kofola originated in the Czechoslovak pharmaceutical company Galena n.p. in 1959 during research targeted at finding a possible use for surplus caffeine produced in the process of coffee roasting. The resulting dark-coloured, sweet-and-sour syrup Kofo became the main ingredient of a new soft drink named Kofola introduced in 1962. During the 1960s and 1970s Kofola became exceedingly popular in communist Czechoslovakia because it substituted for Western cola-based drinks like Coca-Cola or Pepsi, which were available but priced at more than twice the price of Kofola. In 2002 the manufacturer launched a big media campaign aimed at young hip audience, which is based on the slogan “If you love her nothing else matters", which helped the brand return to the market. You can have a look at some TV spots from their campaign for example here: http://www.youtube.com/watch?v=EcXvY4ILXLo; http://www.youtube.com/watch?v=wp1LrC_z27U; http://www.youtube.com/watch?v=LpAsEfqN35I . Until 2000, the Kofola logo featured a coffee bean. It now resembles a coffee flower. Kofola is with no doubts one of the Czech beverages to try! 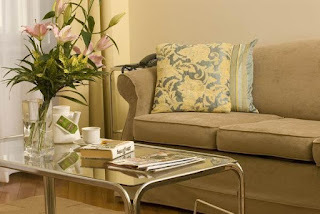 Why are serviced apartments great for families? We've been amazed by the number of families who have chosen to stay at our residences over the past years. Reading all the great reviews from parents and grandparents encouraged us to write this post..
You can eat in if you don't want to go to a restaurant. Kitchens in our residences are all fully equiped and have a comfortable dining area. Our guests can prepare their own meals on their own schedule - if you want breakfast at midday, it's up to you! If you need an extra bed or a baby cot, we are happy to prepare it in your apartment for free. Having the space to chill out makes all the difference. You can enjoy the freedom of a full apartment with living room, bathroom, full kitchen, and separate bedrooms. 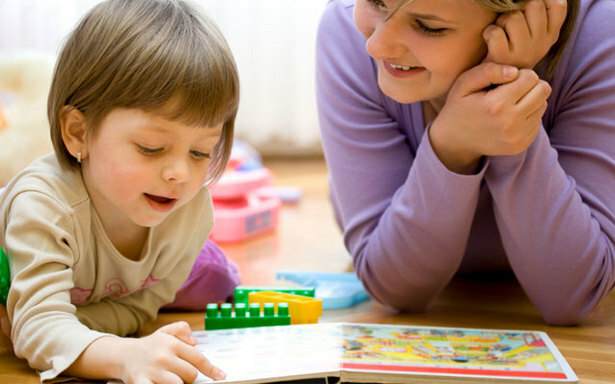 The free daily maid service means you don't have to clean up and can spend more time with your family. Fully equiped with everything you might need in daily life - hairdryers, espresso makers, ironing facilities, dish-washer, washing machines, microwave ovens, safe boxes, Sat-TV.. you can feel like at home! Better price then hotels. If you split the price per apartment between more people, the cost is much better than prices of many comparable hotels. Staying in an apartment gives you the freedom to be completely independent to make the choices that works best for you. Arriving late and no time for shopping? Let us know what would you like to have in you fridge on your arrival and we will do the shopping part for you! 24/7 Reception Desk = nonstop assistance with anything regarding your stay. Booking a restaurant? Fixing a broken baby cot? Tips where to go with kids? Anytime you need help, we are here for you. In the everyday life, we usually walk through the streets of our city without following the saying: "one step at the time is a good walk". We hurry to reach our destination, taking the well known little streets and shorcuts, and we often simply overlook the city itself, as a picture in the background. 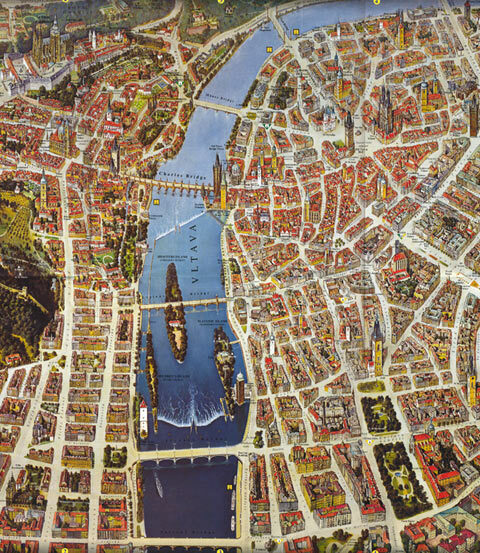 With time, we get used to our mental maps and so we don't have to pay so much attention to the city itslef. If your city seems too well known to you, try out our tip how to refresh your picure of it and notice small deatils that you would not see on your daily walks! And if you are in a new city for a first time, try it afer a few days of your stay in an area that you think you know (or like) the best - you will be surprised, how many things you haven't noticed yet. Be sure to carry your map with you though! 3. 2x to the right etc. Repeat at least one hour (or until you get totally lost) and don't forget to take your camera with you. Focus on small deatils, observe people around you and the rythm of the streets. We guarantee that you will see the city from a completely different perspective than before. Many of our guests each week are returning clients - business travellers who choose to stay with us every time they are in town. We believe that we thought of everything you may need while working away from home on a bussines trip. Here are some of the key benefits which make PCA serviced apartments a better alternative to hotel rooms and keep our regular clients coming back. Separate desk and working space in most of you apartments, which makes it so much easier to work in. Comfortable beds! A good night's sleep makes all the difference. 24/7 Reception Desk - booking taxis, restaurants, concerts etc. Great customer service is high on our priority list. We are trying to anticipate your needs and giving you all the basic tools to enjoy your stay with us – independently. Do you have any more tips what to include in our services to make your business stays even easier? Share it in the comments or on our Facebook wall, we would love to hear your opinion. 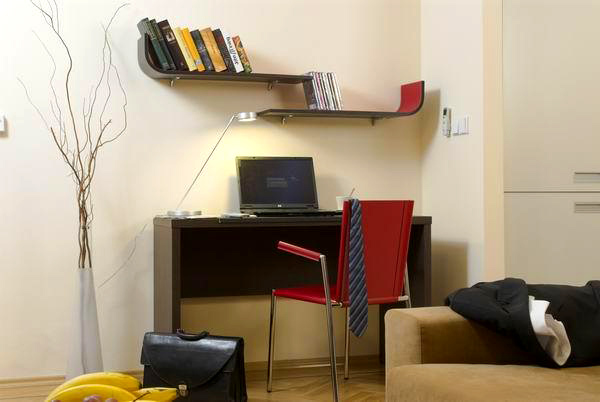 Prague City Apartments is offering discounts for all our Facebook fans staying at Residences Rybna or Masna up until the end of February 2010. Including Valentine's Day! Book your stay now and enjoy Prague in winter time for a great price. Residence Rybna has seven stylish apartments varying in size from one-bedroom to thre-bedroom and is located just a stonethrow away from the Old Town square.As in all our residences, also in Rybna you can enjoy free wi-fi, daily maid service and all the space you need to relax. 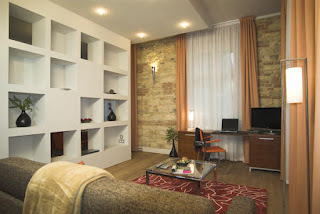 Residence Masna is a completely renovated 19th century building, minutes from the historical center of Prague. This residence offers 21 comfortable studios and one-bedroom apartments. All of them are fully equiped and designed to make your stay easy. A conference room for business meetings is available there. It's simple - to apply fo this offer, become our fan on Facebook and find your promo code in "promotion" section on our Welcome page. Mention this code with your booking (e-mail, phone). Note: This offer is valid for new bookings only. If you are looking for a place where to try traditional Czech kitchen, check out these restaurant tips where we like to eat our gulash or baked duck (if not at our grandma's). 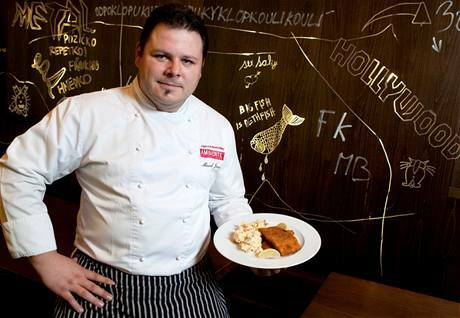 Lokál, managed by Ambiente Group, has quickly become one of the most popular Czech restaurants in Prague. Main policy of this restaurant is to use local and fresh products and you will hardly find anything that is not "traditionally czech" on the menu. Not even Coca-Cola made it! 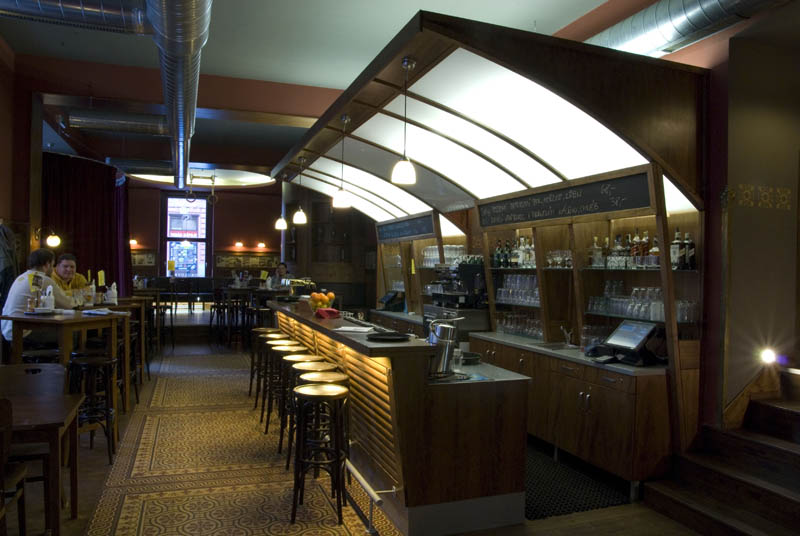 The interior is furnished in retro style of Czech restaurants in70’s and 80’s. The crowd is usually mixed and you can meet both czechs and foreigners there. Smoking & non smoking area. The food is simply great and you can enjoy two fresh menus a day. The restaurant is located in the heart of Břevnov monanstery komplex, close to the area of Prague Castle (also the monanstery itself worths a vistit! 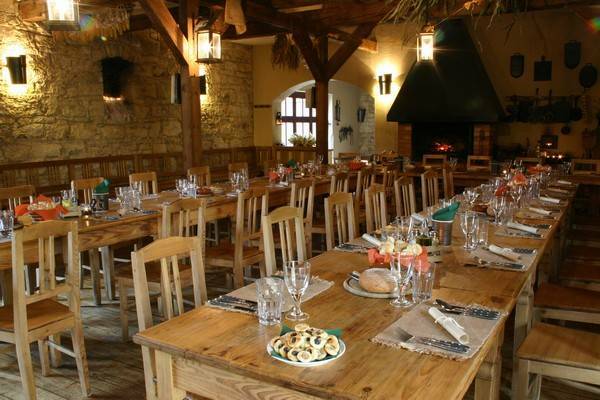 ).The interior is rustic with an open fire and you can enjoy a wide range of traditional Czech food. Both meat lovers and vegetarians will be happy here as the salads and vegetable dishes (unlike in many other Czech restaurants) are fresh and creative. However, it would be a shame not to try many of the meat speacialities, like their delicious Marianated Pork Ribs. The service extremly kind and attentive. You can also enjoy a special draft beer, Klášter 11°. Traditional restaurant with authentic atmosphere - local and always busy. Excellent food, great tank Pilsner Urquell beer and a wide choice of both local and international dishes. 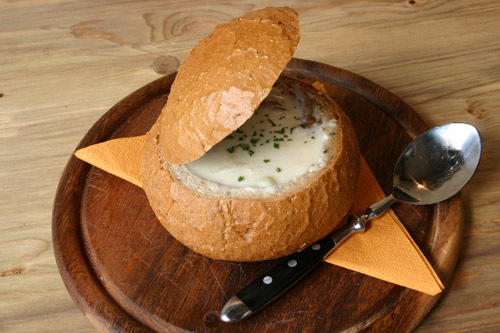 Reasonable prices and attentive service.. Don't forget to try their delicious Gulash Soup in bread!